What's the big deal? A "Defenders" movie was never going to happen, not with the way Avengers has developed into a catch all. And it's a great name in that it describes what the team is doing. I highly doubt they will go by that name in the series, it'll probably be just a mega team-up. And it's much clearer than "Marvel Knights" to MCU fans who don't follow comics. They are a team that defends. This is the kind of thing that only affects our community, but the MCU belongs to a much wider audience. It's simple to see why they went with "Defenders". "Because if we can't protect NY, you can be damn sure we'll be Heroes for Hire for it"
"Because if we can't protect NY, you can be damn sure we'll be Marvel Knights for it"
Can you clarify the difference between "protect" and "defend" you're using here? I see it as more "If we defend, there'll be no need to avenge." "The Defenders, because the Avengers are aholes that demolish your neighborhood"
Protect as in proactive. Defend as reactive. A subtle distinction, but I can see it. Why is the team called The Defenders when none of these heroes were part of the Defenders? The Defenders is Hulk, Strange, Namor and Surfer. As a long-time Defenders fan, I can relate to and understand this quibble. But I can also get past it. "Heroes For Hire" would be a more appropriate fit with the Netflix line-up, but as has been noted before, it is a terrible name. "The Defenders" fits well with "The Avengers", so it is an obvious choice for another live-action Marvel team. Personally, I would prefer "The Defenders" to be something closer to the original with Hulk, Namor and Doctor Strange. Throw in Hellcat, Nighthawk, Valkyrie and maybe even Black Knight, and you would have a sure fire winner. We were never going to get Silver Surfer (with all the legal woes tied to FF). But it looks like there is a possibility that we might get some sort of Hellcat in the upcoming Alias. Regardless... the first season of Daredevil was much better than I expected, and if they want to call this Netflix team-up "The Defenders", then I'm not going to complain (too much). Over the years, the Defenders has been the junk drawer of superhero teams. Redefining them as the homefront, street-level, sweat-the-small-stuff crew as a contrast to the globe-spanning, world-saving, high-power Avengers is damned clever. Agreed. Also, I would guess that this soon(ish) to be incarnation of the Defenders will have a similarly loose, and tense, bond between them. And that actually is in keeping with the original idea as well. 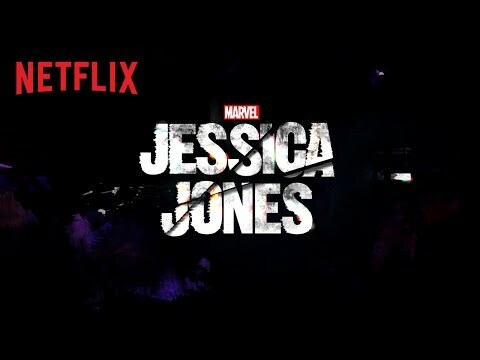 Heck, for all we know, there is every chance that this slate of shows at Netflix started with the idea of doing a kind of Defenders team-- including some of the original ideas that make them different from the Avengers, historically-- but then choosing who would comprise that team quickly had to change, mostly for budget reasons, as well as characters already being locked up in the feature films, and from there they ended up figuring out who their slate of solo, street-level (aka LESS EXPENSIVE!) characters would be. It may still be that they worked from the idea of the Defenders, even if they knew that they were never going to have a lineup that resembled the original. I think it's about the best that could be hoped to come out of the concept. I loved The Defenders as a kid, but it was always that oddball series that seemed to keep going in spite of itself. Aside from a nostalgia association for comic readers of a certain age, I don't see how the original Defenders "brand" sells itself as a media property. And everyone keeps mentioning the Hulk/Strange/Namor/Surfer line-up, but for me (and I'll bet many who read it in the '80s) The Defenders were always Valkyrie, Nighthawk, Hellcat, Gargoyle and a bunch of other C-listers hanging out with Doctor Strange. And I bet there are some for who it's Angel, Ice-Man, Beast, Cloud, etc. It's always been a pretty loose concept - and I suspect that may be why it lasted as long as it did, because creators enjoyed working on a title just under the radar enough to do what they wanted month to month. What does that make The Champions? The team with all the accountants. It's that small cardboard box in the back of the cabinet under the sink. The most inaccurately-named team ever? And not enough quality to justify calling it a Masterwork either, but there you go. After "The Inferior Five" was already taken. I think a shortbus might be a more accurate description of The Champions masterworks. I love Backissue 65 for answering the question of the Champions roster. Embarrassed to admit I loved "The Champions" back in the day. Nothing to be embarassed about. It was very ... earnest. Recap! 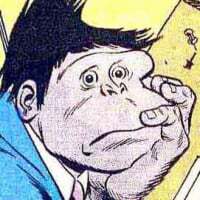 Please give us the synopsis of Backissue 65 for those of us who missed it. I LOVE The Champions. Being a big fan of c-listers, how could I not!?! I remember being very disappointed a few years back when Marvel had to retitle The Champions reboot as "The Order" at the last minute due to legal issues. I'm a huge fan of twomorrows digital and this was an especially good issue (defenders, legion of substitute heroes, doom patrol, Champions, gog, inhumans). It will be the best $3.95 you spend all day. Originally it was going to be a book starring Iceman and Angel on a road trip. Then Stan Lee (creator of the FF) said all teams need 5 members. Tony Isabella was later told all teams need a strong guy and woman. He chose Herc because he's frat guy Thor and Black Widow because she was available to use. Then he was told at least one member had to have his own series which is where Ghost Rider came in. Reading it in Tony's words is much more interesting so go spend the $3.95 and read a bunch of cool stories about the 2nd tier teams. That is one uneventful "trailer". Nice... November 20th is a lot sooner than I was expecting.